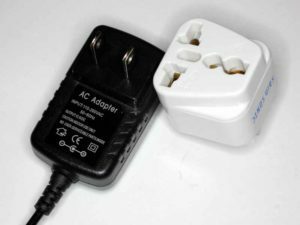 Electrical items personally imported to Australia (eg eBay purchases) commonly do not comply with some basic mandated safety features that can be checked with a cursory visual examination. Plug tops at less than 20A must have insulated live pins (active and neutral), and the earth pin if fitted should be longer to make contact first. Above are examples of insulated live pins on an ordinary plug top and a plug pack. 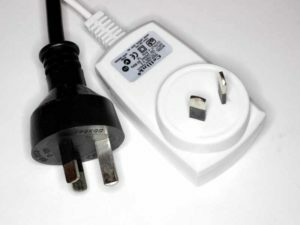 Note the plug pack has a round boss raised from the rest of the body to allow the plug pack to be inserted into a shrouded extension cord socket. A lot of product sold to the Australian market on eBay does not include power packs or plug tops that are compliant with Australian standards, either in terms of design or approvals. Above is a common supply, a 100-260V power pack with US pins and a cheap and nasty adapter. 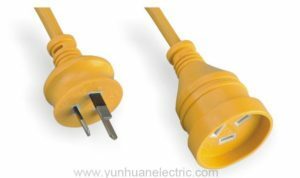 The adapters usually have very loose contacts (often will not support a plug pack hanging on the wall), large apertures providing opportunities for insertion of foreign objects, uninsulated pins, dubious earth continuity). Note the lack of output current rating on the power pack, they often lack basic details that would allow one to specify and purchase a safe substitute. It is sometimes possible to get the correct AU pin layout, but they rarely have insulated active pins… still this is a long way better than the parallel pins and adapter solution.